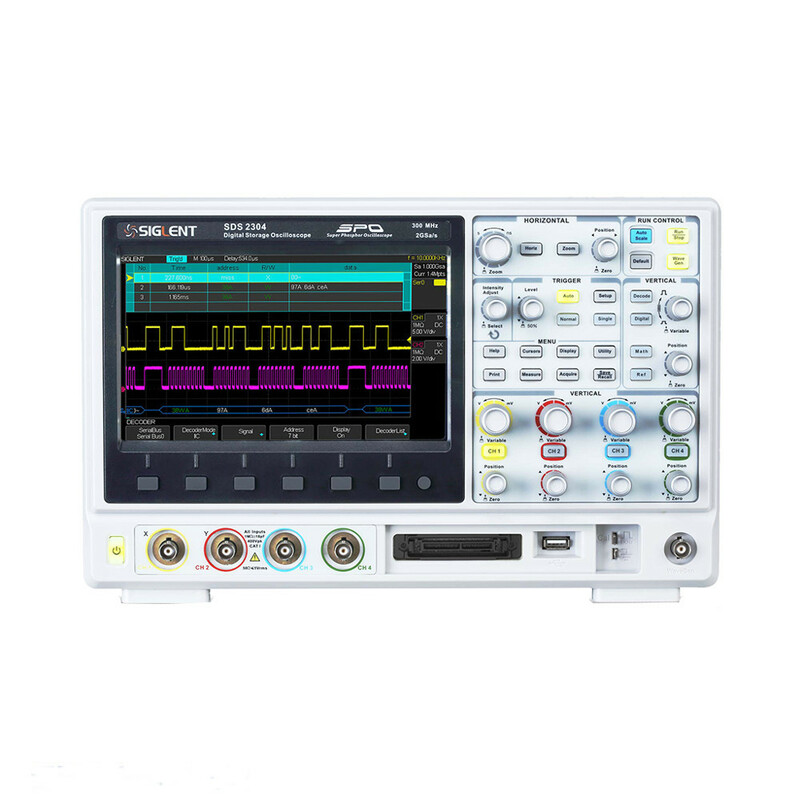 The SDS2204 super phosphor oscilloscope is equipped with 4 Channels and a maximum 200 MHz bandwidth, 2GSa/s Sampling Rate as well as the design features of memory depth, high capture rate and multi- level intensity grading waveform display, is recognized as an universally applicable digital instrument with advanced technology and high-end performance. 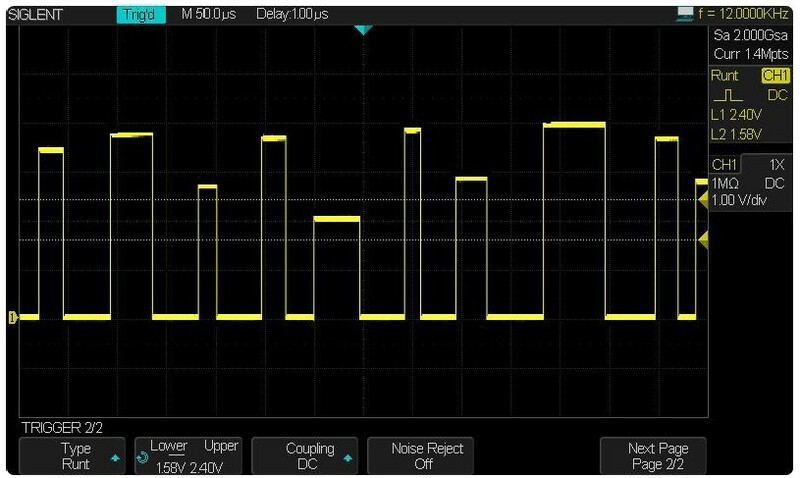 With the innovative SPO technology, the SDS2204 oscilloscope is outstanding in the industry, and even develops a new era in domestic digital oscilloscope industry. 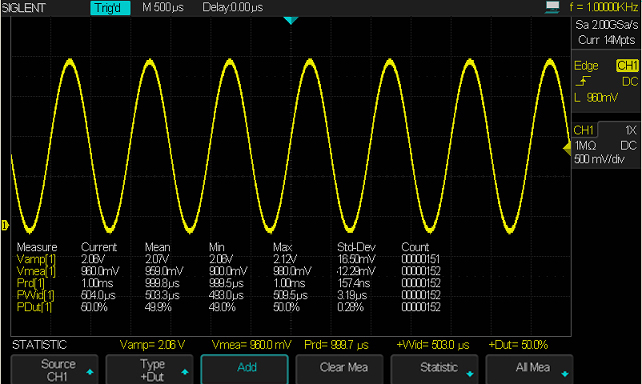 The oscilloscope can be used for mixed signal analysis and decoding (IIC, SPI, UART/RS232, CAN, LIN). 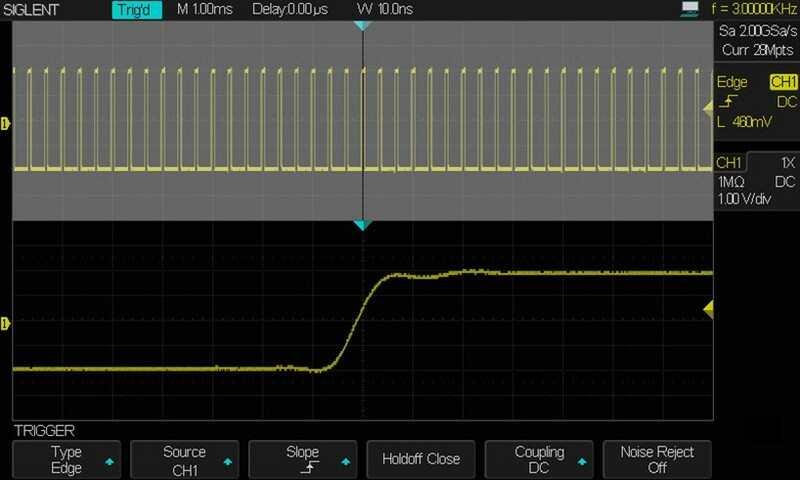 Waveform capture rate up to 110,000wfms/s, for quick capture of glitches on signal or abnormal signal. Through externally connected to DDR3 RAM , the SPO technology achieves memory depth up to 28Mpts? 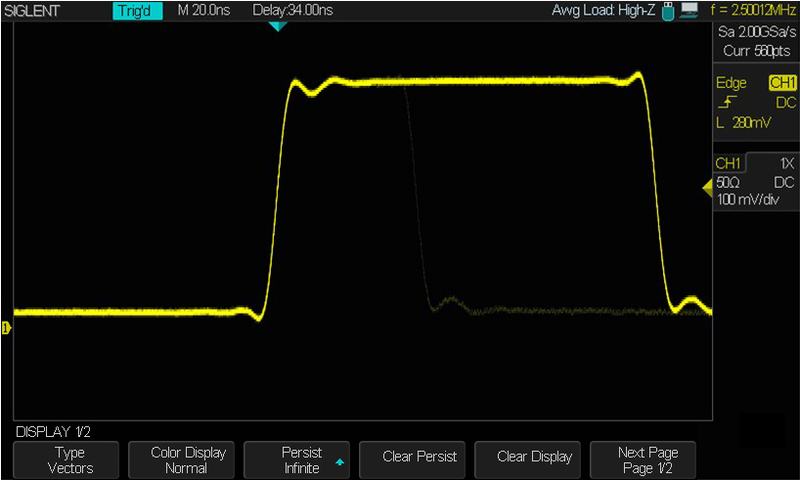 In figure above, the time base is 1ms/div, however, the sampling rate reaches to the max. 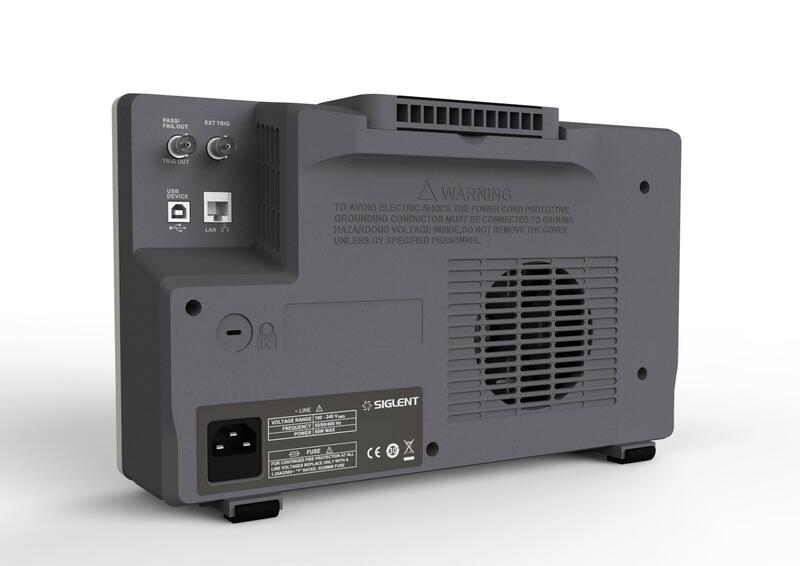 2GSa/s. It is stable to observe signal details in Zoom window. 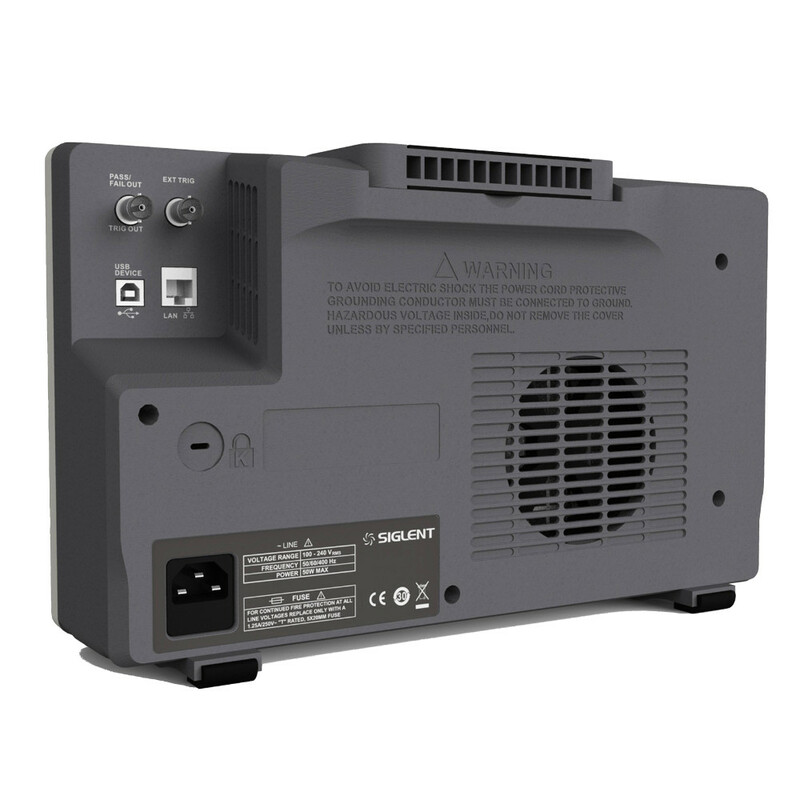 Support 256 intensity grading and color temperature waveform display. Above is color temperature figure for FM signal. 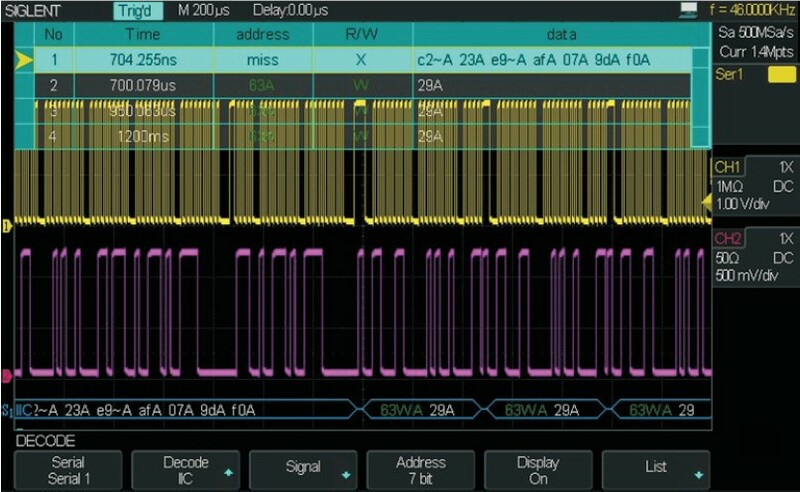 Support a variety of serial protocol trigger and decode functions (IIC, SPI, UART/RS232, CAN, LIN), to help users design product and make hardware debugging in efficient and right way. 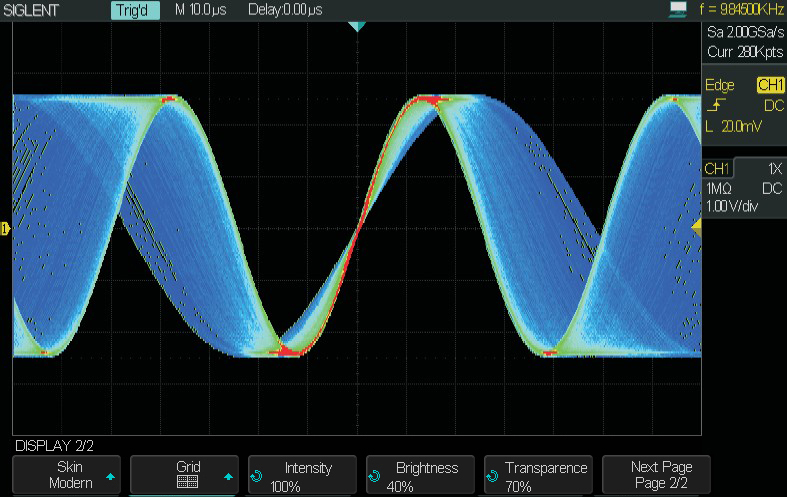 Support built-in 25MHz function/arbitrary waveform generator, which is configured with up to 10 kinds of waveforms, could display any waveform through connected to the upper computer software EasyScopeX. Support 32 kinds of parameters automatic measuring function, and even measurement statistics function, which enables to display parameter values such as Current value, Stand Deviation value, to make data analysis convenient for users. 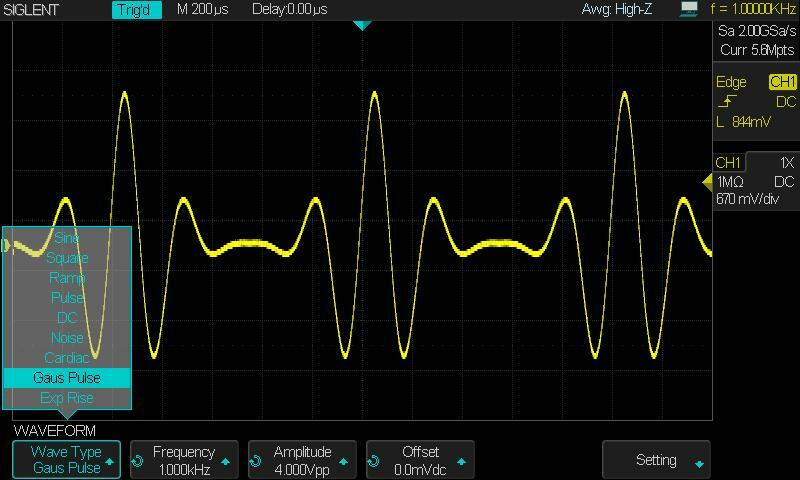 In addition to commonly used trigger modes, the SDS2000 series oscilloscope supports a variety of smart trigger functions, including Window, Interval, Runt, DropOut, Pattern. Configured with complete connectivity: EXT TRIG, PASS/FAIL, TRIG OUT, USB Host, USB Device (USBTMC, PictBridge), LAN(VXI-11?, USB-GPIB(optional).